Want to bring the Donner Party story to your library or organization in a unique way? Contact me about the interactive program inspired by my award-winning nonfiction book The Perilous Journey of the Donner Party. 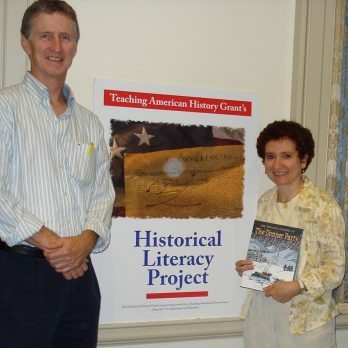 I created it for the University of Delaware’s Teaching American History conferences and have presented it to high school classes and general audiences at New Jersey’s Jefferson Township Public Library and other venues. As an audience member, you’ll be assigned a Donner Party member identity at the start – and you’ll discover by the end whether your character survived. My photo-rich PowerPoint not only immerses you in the historical saga but invites you to share my research journeys in the mountains and deserts of the American West. Like the book, this presentation is “eerie and mesmerizing,” but never lurid or sensationalized. The program includes Q&A time and can be tailored from one to two hours.